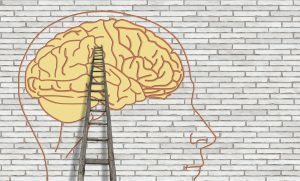 We’ve added a page to this site dedicated to Alternative Pathways to Teaching. English majors can get a minor in secondary education, which certifies them to teach middle or high school in Illinois. However, not everyone discovers their desire to teach in a timeframe that accommodates that program, and some people are curious about teaching but unwilling to commit to a time-intensive minor. There are other ways to embark on a teaching career, and Alamgir Hossain has gathered them into a single resource for you. Make an appointment with Anna Ivy if you are interested in learning more about the secondary ed minor; make an appointment with Kirstin Wilcox if you’d like to explore other career paths. Stop by EB 200 or call 333-4346, either way. You will have occasions when you fall short. No matter how much you achieve or how well you prepare, you will come up against those moments when you have to turn a bird into a refrigerator, and you just can’t do it. It doesn’t stop you moving forward. 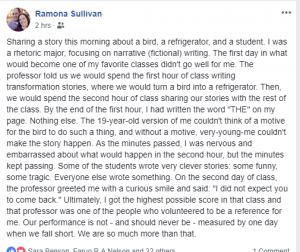 Not only did Ramona ultimately ace the class — she went on to the University of Illinois law school and became a public defender. Most recently, she ran for 6th Circuit Judge here in east central Illinois. You may have seen the yard signs around town. That bird didn’t turn into a refrigerator either. And it was okay. Such moments will be for you, too. Learn more about Ramona here and here. If you’d like to contact her for advice (about law school, finding meaning and purpose in a legal career,working as a public defender, running for office…). 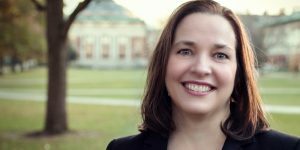 make an appointment with Kirstin Wilcox (kwilcox@illinois.edu) to join the Department of English alumni mentoring network. When Should I Get an Internship? Which is to say: to answer that question, you have to ask some others. What do I want out of an internship? If your goal is simply to start getting some work experience because you have none and to start exploring what’s out there, then any time is a good time to apply. An unpaid internship can be a good place to start building your skills and network. If you are hoping to land an internship with a company that will hire you after graduation, then you should definitely plan on doing a paid summer corporate internship between your junior and senior year (and you should plan to go to the fall career fairs to explore your options, even if you’re a freshman or sophomore). If your goal is to get experience in a specific industry (like museum work or publishing or event planning), then follow the opportunities as they arise — and be aware that an internship is not your only path to experience. A paid job or volunteer position might be equally relevant. Do I have time for an internship? You should only accept an internship, whether paid or unpaid, if you can devote the time and attention it deserves — so trying to do an internship during a semester when you know you’ll be swamped with other commitments is probably a bad idea. 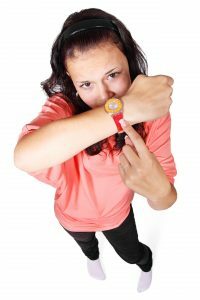 Be aware, however, that the time commitment for an internship can range from 3 hours/week to 20 hours a week — so much may depend on the particular internship you have in mind. A paid internship can take the place of a paying job, and some unpaid internships can offer the same rewards that you get from volunteer activities — so keep in mind your own big picture. What can I expect to get out of an internship? recognition of the kinds of work settings and conditions that you don’t want — negative experience is still experience. Am I qualified to apply for interesting internships? Probably. In many cases, enthusiasm for the job is a relevant qualification. Customize a resume that highlights any relevant experience you have and write a compelling cover letter or email that conveys your interest in the position. (Pro-tip: most employers are not interested in what they will do for you in advancing your career — they want to know what you can do for them.) In any event, why NOT apply? if you aren’t qualified, the employer will decide that for themselves — you don’t get extra credit for ruling yourself out ahead of time. But…I’m just a freshman (sophomore, junior, senior….). Is NOW the right time? Is it too soon? Too late? Some employers only want sophomore or juniors; many don’t state a preference. Some freshman find an internship as soon as they get to campus, others prefer to wait until they’ve gotten used to college life. Some students never hold an internship but find post-graduate employment on the basis of other kinds of experience. There’s no right time. There’s no wrong time. There’s just your time, which you should use in the ways that work for you. 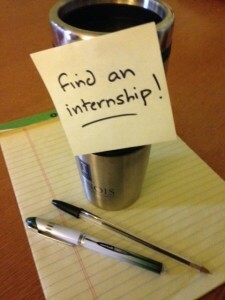 Internships can be useful, but they’re not a magic bullet. There are majors that position students to go into specific kinds of industries, and for those programs an internship with the right company is the key to success after graduation (think engineering, computer science, accounting, finance). English, Creative Writing, and Teaching of English don’t work like that. These majors equip you to excel in a wide range of internships, but an internship may not be the best path to a career that interests you. Internships are a great way to get experience, but they’re not the only way. If your goal is a job in management or consulting with a large corporation, then a paid summer internship with the kind of company you have in mind is a great first step. if your goal is a creative career in screen-writing or TV production, you might be better off spending a summer working a retail job that will give you time and energy to hone your skills on your own independent film project. The secondary education program here has a built-in internship in the form of student teaching — there’s really no need to seek out an additional internship unless you want to explore other career paths. Volunteer work, paid part-time employment, and RSO leadership are also important ways to explore your career interests and gain experience — and depending on your career path, some of these might be more helpful than an internship. If you are interested in publishing or editing, for example, most paid internships (and even unpaid internships with prestigious organizations) will expect you to have experience already — which you can best get by working on a student publication (high school experience has a limited shelf life once you’re out of high school), volunteering your editing skills for a nonprofit organization, or getting a part-time job with a communications component to it. Not all internships are the same. Some are paid, some are not. Some give you hands-on responsibility, some give you the opportunity to watch from the sidelines. Some organizations have a lot of experience working with interns, others craft the internship position as they go along. Some internships serve as a pipeline to a full-time job after graduation, some do not. Some employers expect applicants to relocate and provide housing, others leave you to your own devices. Some internship programs are thinly-disguised schemes to get low-cost labor, others are equivalent to well-paid part-time or short-term jobs. You have time, and you have choices. If you’re not sure what kind of internship you’d want, or how an internship might fit into your future goals, it’s okay. Look at the information you get about internships as it comes your way and see what piques your interest or sounds like something you might want to try. Read up on the employers offering summer internships at the the campus career fairs this fall, and go talk to a couple just to expand your sense of what’s possible. Find ways to get involved around campus. If you need to work while you’re here, think about how your choice of part-time work can help you build some relevant skills. As you get more familiar with what’s available and what you like doing, you’ll find it easier to sift through the possibilities and seek out the things that can help you.